Pancakes? On a childbirth website? Yep! 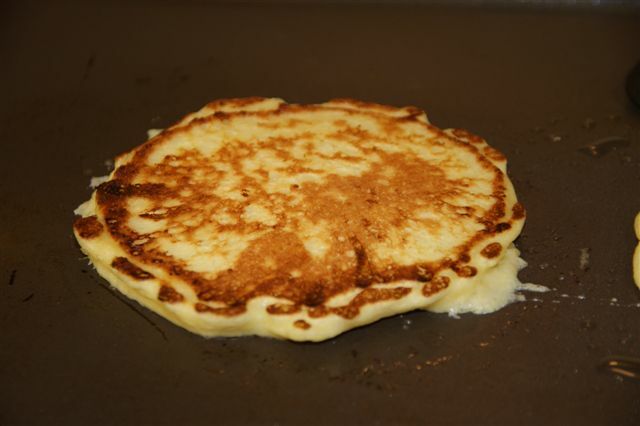 I’ve been talking to some of my preggo friends about the importance of eating high-protein foods while pregnant, and my husband suggested I post this recipe for high-protein, low-carb pancakes. 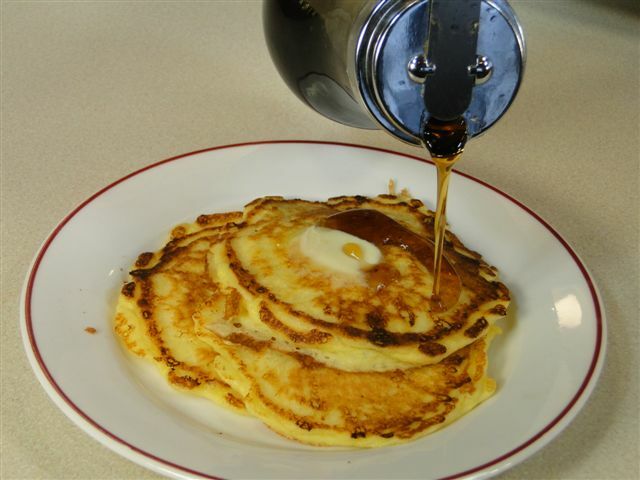 Yes, these pancakes are guilt-free and SO GOOD! 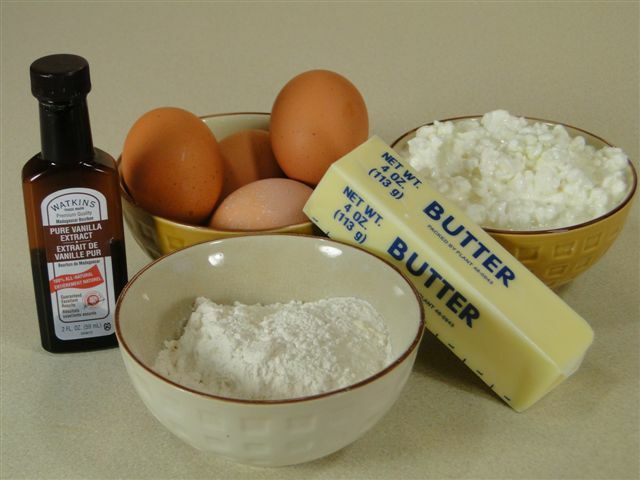 They only have 5 ingredients… butter, eggs, cottage cheese, self-rising flour and vanilla! 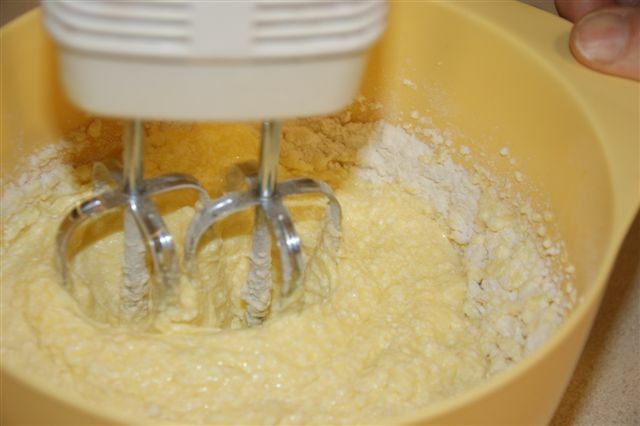 Melt 6 TBSP of butter and whip in 1 cup of cottage cheese until smooth. I didn’t post the pic of the pancakes with tons of syrup, since this is supposed to be guilt-free. 🙂 But anyway, these pancakes are seriously GOOD! 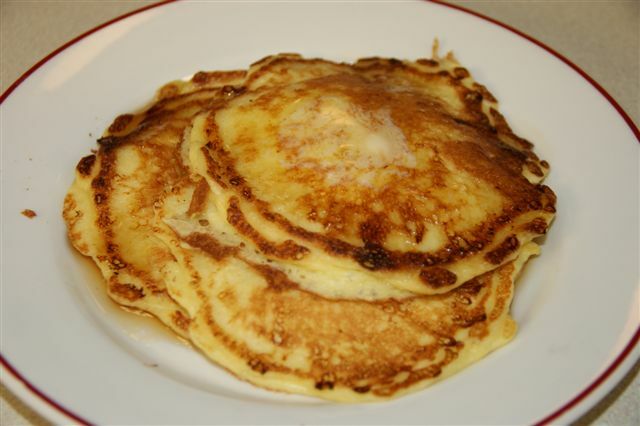 If you make them thin, they almost have a crepe-like texture. If you make them thick, they have a wonderful chewy texture. This recipe will make about 12-14 pancakes. And you don’t have to tell anyone they are made out of cottage cheese! They’ll never know! I promise! Whip in 1 cup cottage cheese until smooth. 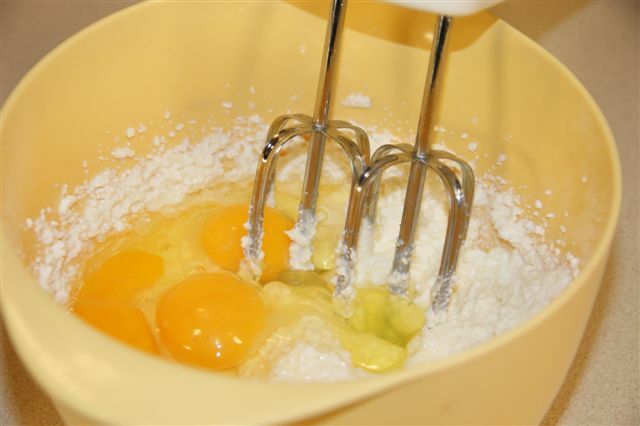 Add 4 eggs, 1/2 cup self-rising flour and 1 tsp vanilla. Beat all together. 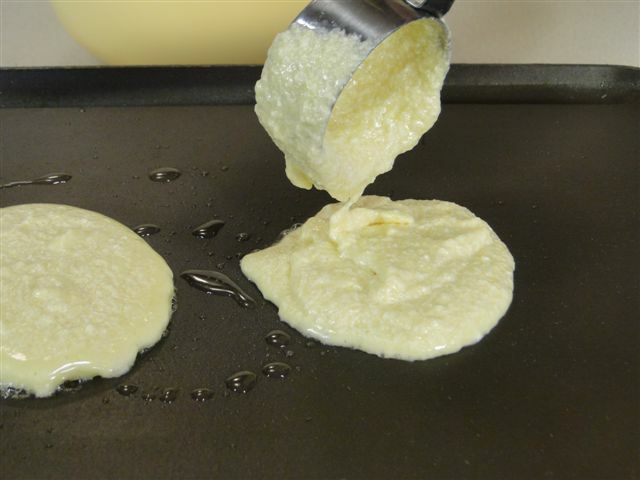 Pour onto hot griddle, remove and eat. That’s it. Makes about 12-14. This entry was posted in Food/Recipes. Bookmark the permalink.